The average cost of memory care in Yavapai County is $3,911 per month. This is lower than the national median of $4,650. To help you with your search, browse the 4 reviews below for memory care facilities in Yavapai County. On average, consumers rate memory care in Yavapai County 4.5 out of 5 stars. Caring.com has helped thousands of families find high-quality senior care. To speak with one of our Family Advisors about memory care options and costs in Yavapai County, call (855) 863-8283. Nearly one in every three of the 228,000 people living in Yavapai County, located in Central Arizona, is aged 65 and over, the age range most susceptible to Alzheimer's disease and Huntington's disease. To accommodate the estimated seven percent of Medicaid recipients diagnosed with Alzheimer disease, there are six memory care facilities located throughout Yavapai County. In Yavapai and throughout Arizona, memory care services are located within Assisted Living Facilities and regulated by the state's Division of Public Health Licensing Services, Bureau of Residential Facilities Licensing. The cost of living in Yavapai County averages 119, which is higher than the national average of 100 and the state average of 112, largely due to the higher cost of housing and healthcare. Families of seniors in memory care facilities may wish to consider locations where healthcare is cheaper. Yavapai County has a higher property crime rate of 42 versus the national average of 38.1, and a higher violent crime rate of 39 versus the U.S. average of 31.1. Families of memory care residents may be relieved to know that Arizona state law requires memory care facilities to maintain secure locks so that memory care residents can't wander off. As in the rest of Arizona, Yavapai County has lots of sunshine. The desert sun shines 272 days a year compared to the U.S. average of 205 days. Seniors sensitive to extreme temperatures may require additional care to keep them calm and comfortable when winter lows reach 28 degrees and summer highs reach 94 degrees. Based on the EPA's National Air Toxics Assessment, Yavapai County's air quality is an exceptional 82, compared to the national average of 58. This ideal air quality profile may make this a good place for seniors with asthma and other respiratory illnesses to settle into a memory care facility. Memory Care costs in Yavapai County start around $3,911 per month on average, while the nationwide average cost of memory care is $4,778 per month. It’s important to note that memory care rates in Yavapai County and the surrounding suburbs can vary widely based on factors such as location, the level of care needed, apartment size and the types of amenities offered at each community. 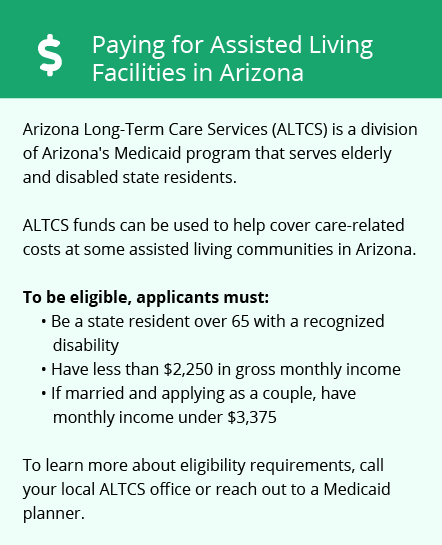 Yavapai County and the surrounding area are home to numerous government agencies and non-profit organizations offering help for seniors searching for or currently residing in an assisted living community. These organizations can also provide assistance in a number of other eldercare services such as geriatric care management, elder law advice, estate planning, finding home care and health and wellness programs. To see a list of free memory care resources in Yavapai County, please visit our Assisted Living in Arizona page. 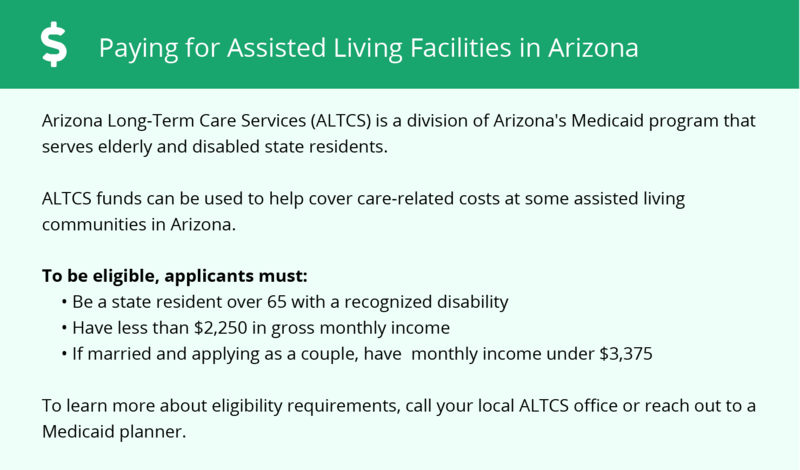 Yavapai County-area assisted living communities must adhere to the comprehensive set of state laws and regulations that all assisted living communities in Arizona are required to follow. Visit our Memory Care in Arizona page for more information about these laws.